Street Fighter executive producer Yoshinori Ono hasn’t been best pleased about leaks for the upcoming fifth edition of the legendary fighting game series which have plagued it for more than half a year now. Unfortunately, releasing a PC version of your Street Fighter V’s beta is only going to invite more inquisitive eyes, this time armed with hex-readers and unpackers. Such it has come to pass, and it turns out other planned characters haven’t been wiped nearly effectively enough from the files. Posters on NeoGAF are gathering all the info they can find and coming to some interesting conclusions. Some or all of these will end up on our SF5 character list. You’ll see TUT and FAN listed here, who don’t conform to any known characters. A previous leak had suggested the final new character was named Zen, and also listed Laura before she was debuted at Brazil Game Show. He doesn’t seem to have made it, though could have another alias that leads to the TUT or FAN abbreviation. It’s also being speculated that TUT is some sort of tutorial dummy, though why he would have a story intro is anyone’s guess. FAN also featured in the files detailing models and has a dramatically larger number of bones – individual segments that move to form the necessary shapes, on which the skin is layered – than others. That is being taken to mean that it may be a larger, possibly boss character with many moving parts, like Necalli’s large hair or masses of tentacles. At this point I’ll just link to this gif of Gill’s lovely locks and be done with my speculation. The mesh files also pointed towards Urien, Ibuki, Alex and others. The suggestion is that these are models that are in the backgrounds of stages, especially since Alex has already popped up in the one revealed at New York Comic Con. However, they are quite highly detailed for non-playable characters, suggesting they may appear later as part of Capcom’s extensive DLC plans. There was some initial confusion surrounding BLR (Balrog) and VEG (Vega) popping up, but nothing that seemed like M. Bison being there, despite him already having been in the game. This comes down to one of Street Fighter’s oddities where the names of these three characters are switched around in the Japanese versions of the game. 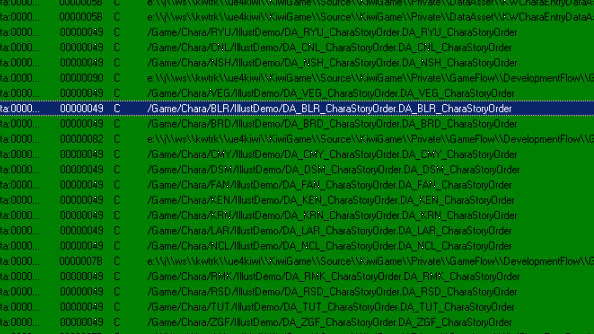 As the game is mainly developed over there, the files are using their names, meaning VEG is referring to the Dictator character we know as M. Bison and BLR is referring to the claw-wielding maniac we call Vega. Simple, honest. It’s a lot of rumour mongering and assumptions, but the files don’t lie and the leaps of logic aren’t astronomical. 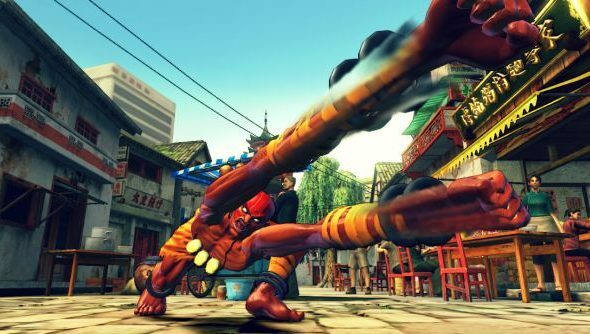 Combined with the previous leaks, there’s now little doubt that Dhalsim is going to pop up at an Indian gaming show in November. We’ll likely have more context after Sony’s Paris Games Week presentation tomorrow, where it’s known Ono is part of the show. Details on how to watch that are on the Playstation blog.